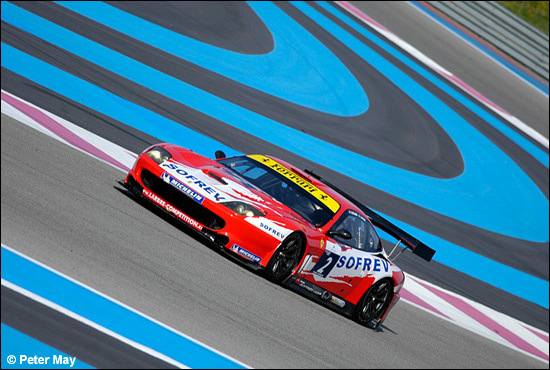 Nogaro welcomes the first round of the 2006 FFSA GT championship this weekend. Patrick Bornhauser and Olivier Thévenin (right), the defending champions, will have to face very tough competition, again, in the VBM Chrysler Viper GTS-R.
Olivier Thévenin: "I believe that this season will be more difficult, the level of the field is better from year to year. We'll have to score some big points in the early season..."
Among their main contenders, Larbre Compétition will race two Ferraris 550 Maranellos, one for the 2005 championship runners-up, Jérôme Policand and Gabriel Balthazard - the line-up of the second Larbre Ferrari being still TBA. The two Saleens S7R should be very quick - the DDO S7R of Dominique Dupuy / François Fiat, third in the championship standings last year, joined by the Oreca Saleen. 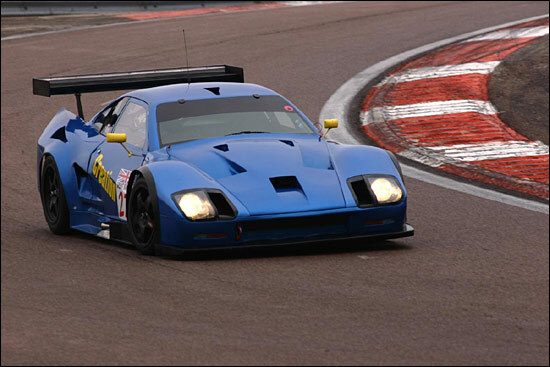 Hugues De Chaunac, Oreca President: "Our wish is to show the potential of the Saleen in every GT1 series. At the wheel of this car, we think that the pairing Soheil Ayari / Bruno Hernandez will be one of the most homogeneous and competitive of the field. We trust them to show the way to other teams willing to race the Saleen, as we are now dealing and servising the Saleens for Europe." Creation Autosportif is back with its Lister Storm, for Romain Brandela / Thierry Stepec, while the Red Racing team will race another Storm GT, for Gael Lesoudier / TBA. Four Corvettes will compete in the FFSA GT Championship, three C5-Rs and one C6.R. SRT will have a C5-R for Eric Cayrolle / Thierry Soave, PSI a C5-R for David Hallyday / Philippe Alliot and a C6.R, for the Finns Markus Palttala and Pertti Kuisman. Palttala has already been an FFSA GT winner, in the Le Mans round in 2003. Yvan Lebon will be at the wheel of another SRT C5-R, partnered in selected races by Christophe Bouchut himself. Ten Chrysler Vipers will be at Nogaro, including Thévenin / Bornhauser's car: two for First Racing with David Tuchbant / Fabien Giroix and Arnaud Peyrolles / Bruno Besson, two for the Tarrès Team, with Eric Debard / Lucas Lasserre and for newcomers Didier Cormerèche / Philippe Mermet, two also for CD Sport, with Laurent Cazenave / Jean-Claude Police and for Bruno Debreuil / Thierry Rabineau, one for Euroflash Autovitesse with Anthony Beltoise / Jean-Luc Blanchemain, while Mirabeau will run a Viper for Mathieu Zangarelli / Jean-Claude Lagniez and CD Sport one Viper too, line-up TBA. 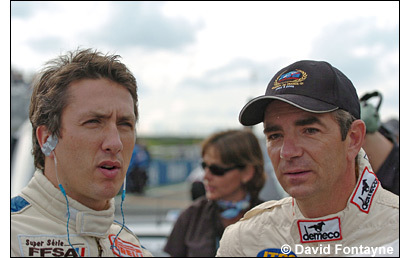 Olivier Porta and Frédéric Hauchard will share a Tarrès Team Porsche Biturbo. In the GT2 Trophy, the defending champion, Raymond Narac, still running his Porsche 911 GT3-RSR, has a new partner, Michel Lecourt. He will face another 911, the Estoril Racing Porsche of Manuel and Claude Monteiro, the Protek Porsche 911 GT3 RS driven by Eric Mouez and Cyril Prunet, the Ruffier Racing Porsche of Jean-Claude and James Ruffier and the GPA Racing Ferrari 550 Maranello of Philippe Rambeaud / Nicolas Comar. In the French Cup, five GT3 Chrysler Vipers, including three cars for Pouchelon Racing, will face the Porsches 996 Cup. The races are on Sunday and Monday. Claude Foubert - and thanks to the usual suspects too.